Working at Heras Mobile Fencing & Security is ‘the best of both worlds’. We are part of one of the largest construction companies in the world. Yet, at the same time, we are also a great company with an open, informal way of working. 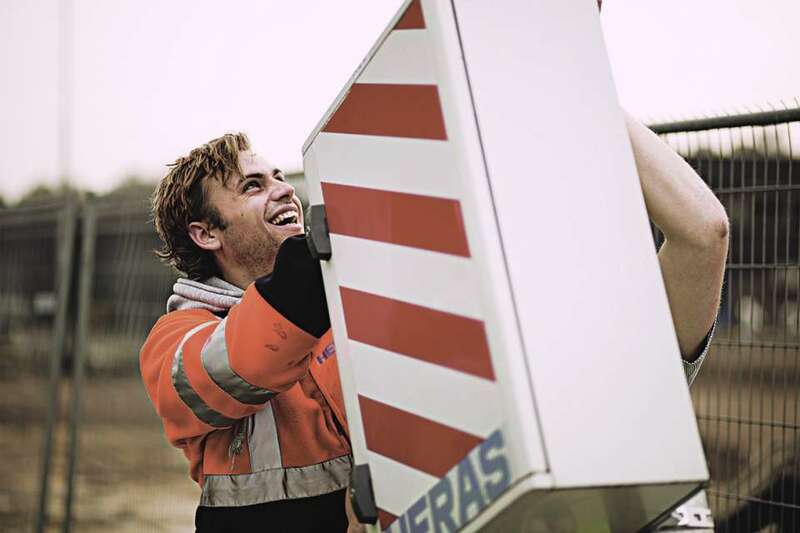 Heras Mobile is a stable company and a people-oriented employer. Most of our colleagues have been working with us for years, by now they are true ‘blue bloods’. In our sector, we are the best. And we aim to keep it that way. By developing new techniques and strengthening our focus on the customer. The professional and personal growth of our people is equally important to us. For you there are permanent in-house career development trajectories. Managers encourage your participation in training sessions and other educational opportunities. Our promise to our customers? Well trained people who think pro-actively. Professional and decisive, because a safe working environment is a vital necessity, for you and for them. Working for Heras Mobile is not for everyone. It is a no-nonsense company. A flat organisation offering a great deal of freedom and independent responsibility. You have to be able to handle that. We expect commitment and initiative. Does this culture sound like something for you? Below you will find an up-to-date overview of our job vacancies. Your job not listed? Then don't hesitate to send us a spontaneous application.